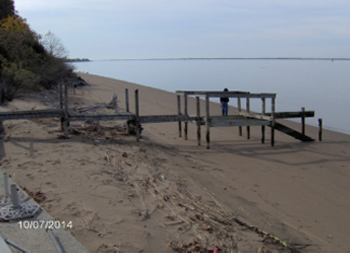 Elsinboro Township, Salem County, New Jersey – The NJ Department of Environmental Protection – Bureau of Coastal Engineering, hired CES to perform surveys of 13 parcels of land for the Oakwood Beach Replenishment Project on the Delaware River Bay. This was a long awaited project, funded by the Federal Government and NJDEP. 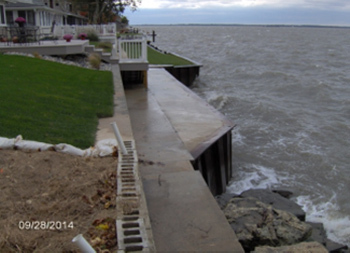 Because of the eroded beachfront, residents had seen their properties take on flooding and damage during bad storms. The nearly $10 million project aimed to replenish the beach and better protect the properties associated with the waterfront. CES surveyed individual properties so agreements could be formed between the homeowners and the State.